The ink had barely dried on Utah startup Divvy’s funding when Blake Murray’s phone started ringing again. Divvy, a maker of expenses-tracking software, had announced its Series A round in May, raising $10.5 million from a local venture capital firm, Pelion Ventures. But before Murray could even spend that money, his startup got an offer it couldn’t refuse. Divvy decided to raise again, this time a $35 million Series B led by Insight Venture Partners. The ink had barely dried on Utah startup Divvy’s funding when Blake Murray’s phone started ringing again. Announced just 11 weeks apart, the new investment has roughly tripled Divvy’s valuation, Murray says—from between $50 million and $80 million to somewhere between $150 million and $200 million, a source tells Forbes. It’s a rate of investment worthy of Silicon Valley scooter companies, not a software firm in Lehi, Utah. But Murray says the reason for Insight’s interest was growth numbers that might look at home in a ride-sharing business taking off—starting with 60% monthly revenue growth, as well as near-zero customer churn. 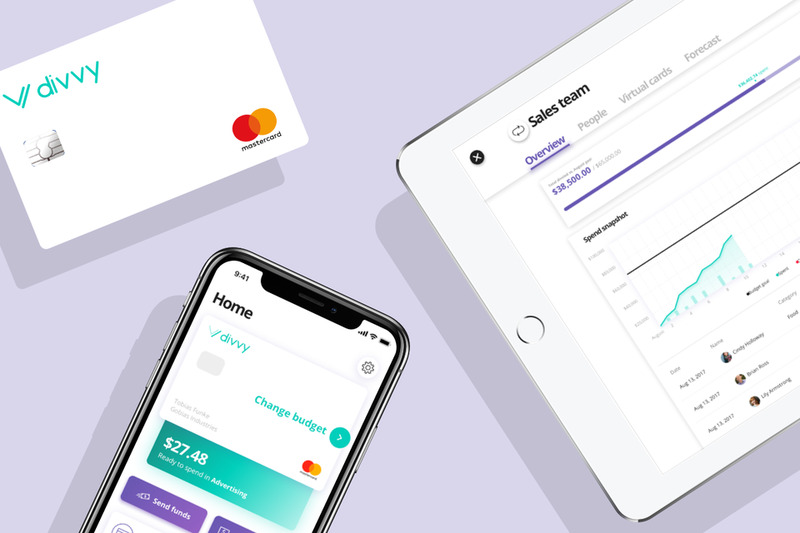 By offering a freemium dashboard for businesses to track expenses without employees having to log expense reports, Divvy’s cofounder believes his startup offers a product that appeals to managers and staff alike—while going against the grain of startup software design today. Believing that businesses had “dashboard fatigue” from checking so many different systems, Divvy decided to cram every feature it could about expenses and business travel into one spot. Doing so would limit the amount of time users needed to spend in the system and simplify financial staffers’ abilities to track it all, the startup believed. Divvy’s new funding points to several trends in venture capital and startup funding right now. It caught the wave of interest in Utah tech—the hub of cloud computing unicorns there known as “Silicon Slopes” has seen several recent IPOs, including Domo and Pluralsight, in which Insight owned a large stake. And Divvy also was able to provide a “de-risked” place for investors to put their capital, with fresh validation from other firms and numbers that continued to go up and to the right. The startup had received larger offers during its Series A round that were more comparable with its new Series B, according to Murray, but passed on those deals because they came with more onerous terms that diluted its founders' ownership and didn’t offer them the same control in terms of conditions and management of its board of directors. Then, when Divvy did raise its Series A, Murray says he went to the office on Monday to a deluge of emails and calls from follow-on investors looking to get on the company’s radar for its next funding round. Divvy’s software tracks expenses without reports. Even for a firm like Insight, which with a $6 billion new fund has a large amount of resources to try to see deals that the rest of the field doesn’t, a herd mentality was impossible to avoid. Because other firms were already speaking to Divvy about leading a new funding round, Insight preempted the round—getting the deal it wanted, perhaps faster than it expected. Divvy signed the terms on its Series A in March. By July, it was announcing its next round. At Divvy, Murray says that the startup plans to spend the money on hiring, especially in engineering and product, but also sales and marketing, where the company has been spending less than $75,000 a month to fuel its growth. The entrepreneur advises fellow founders to make sure not to raise too much too soon—somewhat ironic, given the cadence of Divvy’s funding—and then to “make sure you know what you care about” when raising from a position of strength. And he warns that while investors will scramble to meet with seemingly hot companies, they’ll still “look to poke holes” in the numbers and a company’s prospects when they evaluate a potential deal. As for whether perpetually raising money is an unnecessary distraction, Murray says that given Divvy’s negotiating position, he never had to leave his office for meetings during both raises—and that the company is hoping now to potentially be able to skip a Series C given the combined funds.